Item # 310266 Stash Points: 2,995 (?) This is the number of points you get in The Zumiez Stash for purchasing this item. Stash points are redeemable for exclusive rewards only available to Zumiez Stash members. To redeem your points check out the rewards catalog on thestash.zumiez.com. 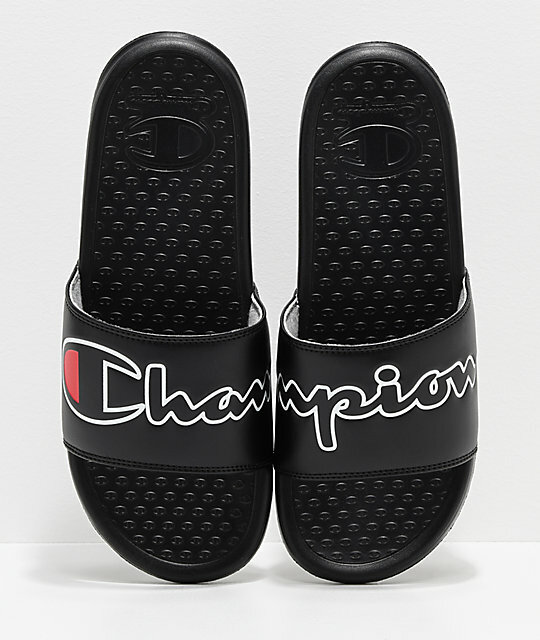 From lounging around the house to hitting the gym, Champion's Super Split Script Black Slide Sandals are the perfect pair of footwear to chill in. 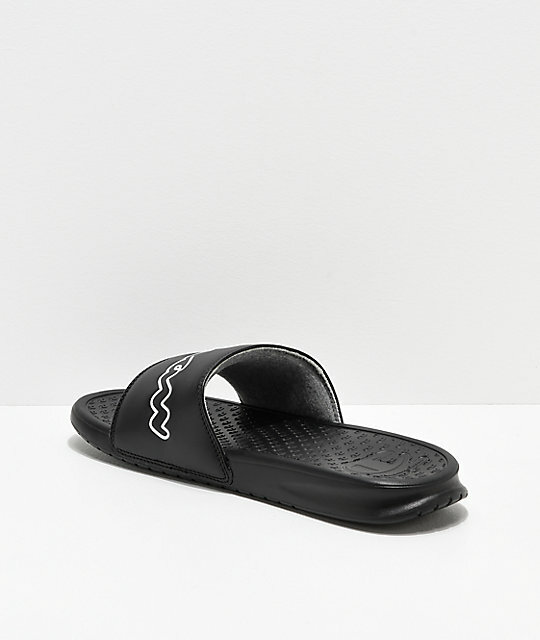 These slides display the brand's signature logo script split in half upon the straps and is read clearly when each of the sandals are placed side by side. 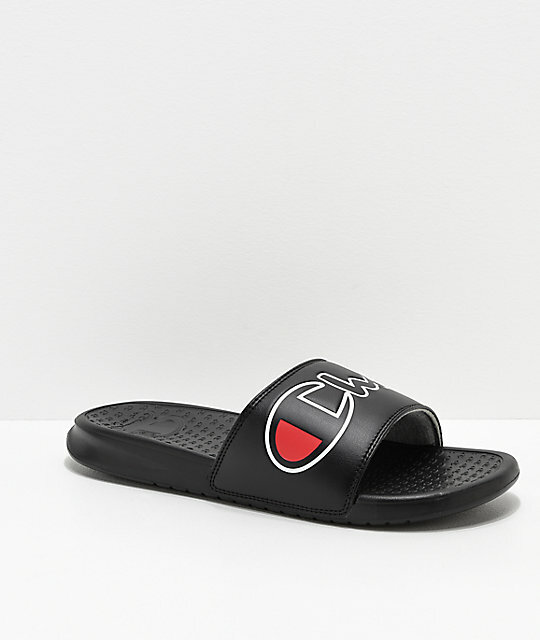 Super Split Script Black Slide Sandals from Champion. 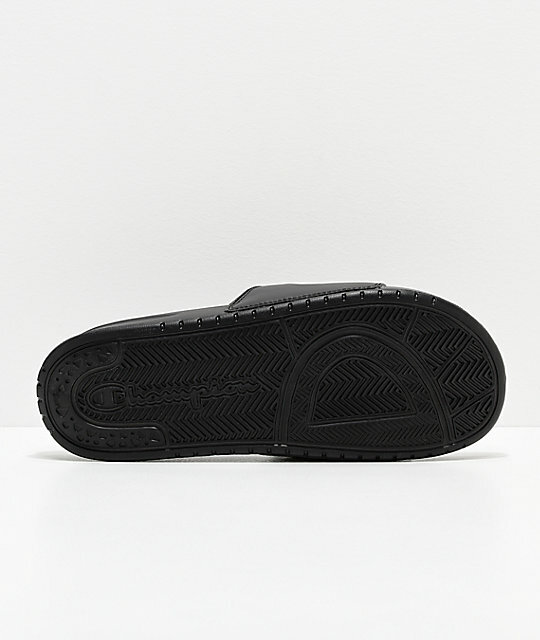 Lightweight, contoured footbed with embossed logo "C" emblems throughout. Faux leather straps with Champion logo script.